Help! There seems to be too much tea in my prosecco! 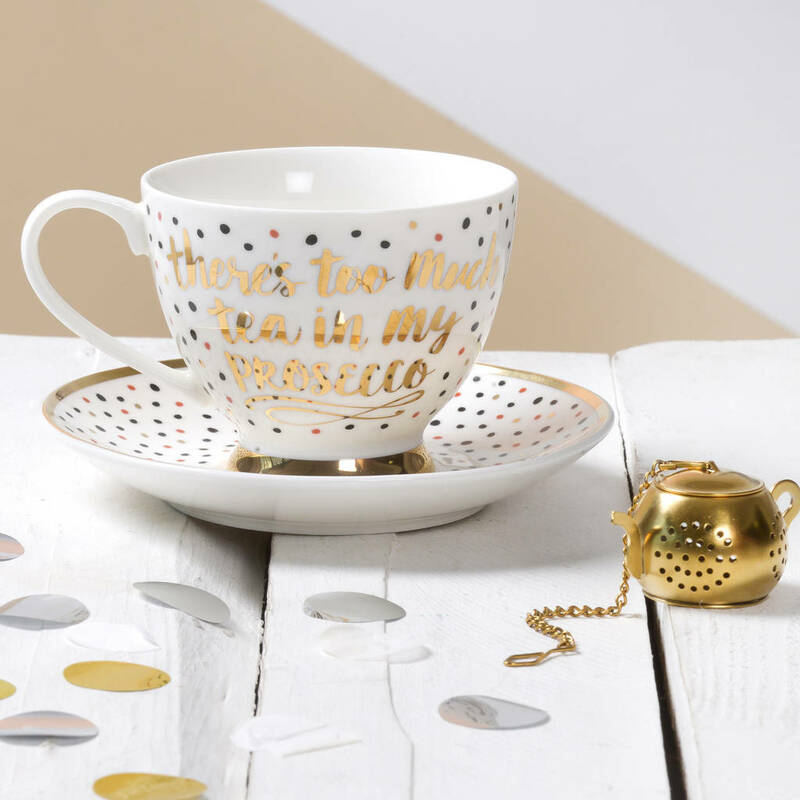 This polkadot tea cup and saucer comes with a handy tea infuser! 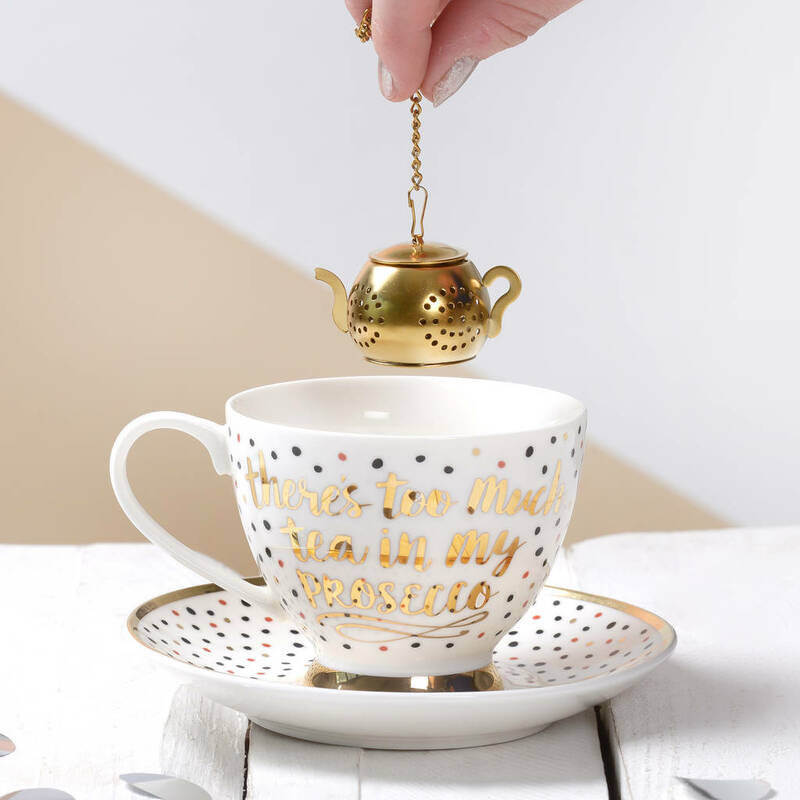 Your afternoon cup of tea (or prosecco) never looked so lovely! Comes in a gift box ready to give to a lucky person..